Launched in 1963 to celebrate the 50th anniversary of the International Tennis Federation, the Fed Cup is the top international team event in women’s tennis but, sadly, it does have the same high profile as the men’s Davis Cup. Four-time US Open women’s singles champion Hazel Hotchkiss Wightman had the idea for a women’s Davis Cup in 1919 but it took more than 40 years for her dream to become a reality and it only came about after others took up her fight. 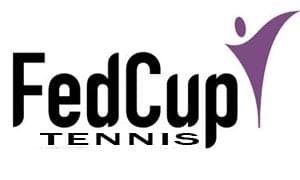 The first Fed Cup – it was known as the Federation Cup until 1995 – attracted entries from 16 countries, with the United States of America defeating Italy (3-0), the Netherlands (3-0), Great Britain (3-0) and Australia (2-1) in its four matches to win the inaugural event. Billy Jean King starred for the Americans against the Australians in the final. The United States of America is the most successful nation in Fed Cup history, with 17 titles and 28 final appearances to its credit. Australia and Czechoslovakia/Czech Republic are equal second on seven championship triumphs, ahead of Spain (five), Russia/Soviet Union (four), Italy (three), France (two), Germany/West Germany (two), Belgium (one), Slovakia (one) and South Africa (one). Great Britain, the Netherlands, Serbia and Switzerland have taken part in Fed Cup deciders but each of them is yet to lift the trophy. The 2013 Fed Cup will get under way on Saturday 9 February and conclude on Sunday 3 November. The Czech Republic is aiming to win the competition for the third straight year. More than 80 countries have entered the 2013 Fed Cup but it is only the eight World Group nations – Australia, the Czech Republic, Italy, Japan, Russia, Serbia, the Slovak Republic and the United States of America – that concern punters. Just like the Davis Cup, Fed Cup history plays an important role in future editions. The event has what is known as the choice of ground rule, which means that it is impossible for a side to enjoy home advantage against the same opponent in back-to-back ties. For example, Italy will begin its Fed Cup campaign at home to the United States of America because the last meeting of the countries took place in San Diego. Once the initial Fed Cup draw is made, the choice of ground rule and the results of the ties determine the venues. Bookmakers cannot agree upon which country is the 2013 Fed Cup favourite, with layers torn between the Czech Republic, Italy and Russia. Also, both the United States of America and Serbia are trading at single-figure odds, with only Australia, Japan and the Slovak Republic as outsiders. On paper, Russia has strongest potential squad. According to the latest women’s singles rankings, there are two Russian women in the top dozen – Maria Sharapova (third) and Nadia Petrova (12th). Russia has a total of four women’s singles players in the top 20 and a decent women’s doubles team, with Petrova and Maria Kirilenko ranked fifth and sixth. But neither Sharapova nor Petrova has been named in Russia’s team for its 2013 Fed Cup World Group first round match versus Japan in Moscow. That should not prevent the Russians making the last four but Sharapova is known for skipping Fed Cup engagements, playing only four rubbers in her career. No Sharapova means that Russia is opposable at the early odds. Also, Russia would have to travel to play its likely 2013 Fed Cup World Group semi-final opponent, Serbia, and it would be the away team against the strongest teams in the top half of the draw, the Czech Republic and Italy. The Czech Republic will be popular with 2013 Fed Cup punters – reigning champions always attract support – and it should experience few problems getting past Australia in the World Group first round. Australia’s Sam Stosur is in awful form and the underdog’s hopes rest on her brittle shoulders. The Czechs have two women’s singles players ranked in the top 18 and a handy women’s doubles combination in Andrea Hlavackova and Lucie Hradecka but they would have to play Italy in Italy if that World Group semi-final came about and, also, travel to Serbia if that final eventuated. The Fed Cup winner in 2006, 2009 and 2010, Italy has the personnel and, arguably even more importantly, the draw to win the 2013 competition at pre-event odds of around 7-2. Sara Errani (seventh) and Robert Vinci are in the women’s singles top 16 and the two Italian ladies are the premier women’s doubles pairing so Italy has all bases covered. And the Italians have the premier draw. In the 2013 Fed Cup World Group first round they are hosting a United States of America side missing Serena Williams, Venus Williams and new kid on the block Sloane Stephens. Get past the Americans and Italy’s next opponent is likely to be the Czech Republic in an Italian city and Italy is guaranteed to enjoy home advantage if its reaches the final in November. Back the Italians to eliminate the badly weakened United States of America and go all the way to 2013 Fed Cup glory.